In his installations, video works and photo series, the Chilean artist Alfredo Jaar reflects on politically and socially explosive themes. Ranging from migration to the genocide in Rwanda, he portrays events with a haunting intensity. Instead of an ordinary documentation, he is concerned with an understanding of different realities, with which he grapples in ways that allow new vantage points of catastrophic conditions. These modified perspectives should rouse the observer and challenge him or her to act responsibly. Precisely because violence, poverty and oppression are his topics, he questions at the same time how these subjects could be visualized at all. It is this tense relationship between reality and representation that his works refer to. His oeuvre therefore also deals with the critical examination of various media and the role of artist and observer. 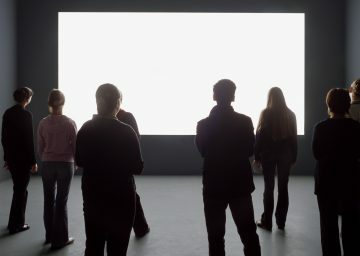 For this purpose, Alfredo Jaar uses elements borrowed from photography, theater and architecture to stage his messages. His works are represented in internationally renowned museums as well as in public spaces, resulting in more than 75 realized installations around the globe.